Today I have a polish from my stash to show you. 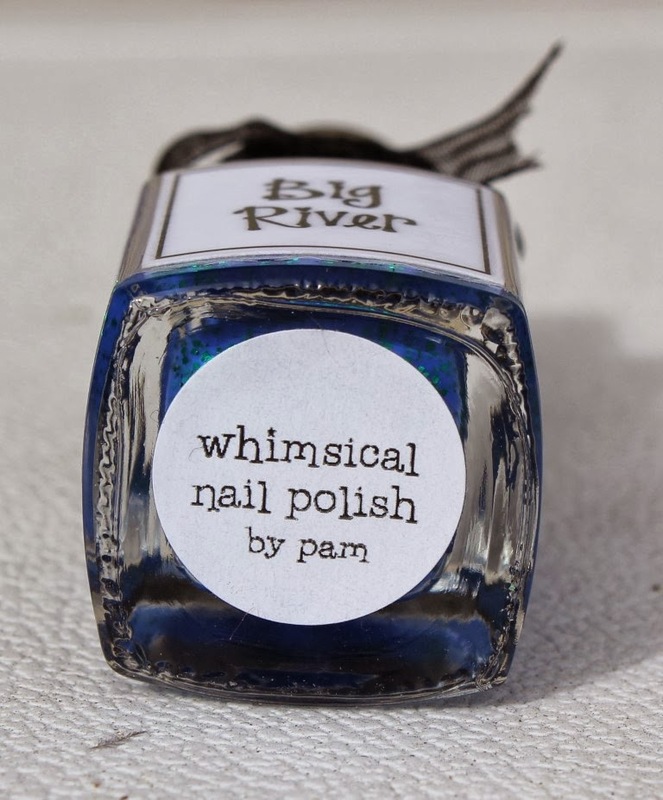 It's Big River from one of my favorite polish brands: Whimsical Ideas by Pam. This one is from her 2013 Holiday Collection - It's A Whimsical Life. She has the cutest bottles. Would you believe she ties all those tiny bows herself? She does. Well, with some help. 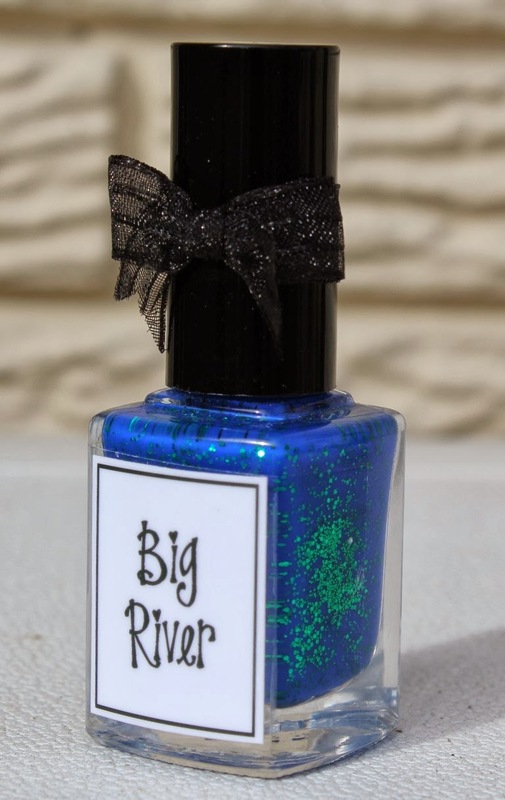 Big River is a rich, cobalt blue jelly base with gobs of sparkling emerald green glitter. Also taken in the shade. Look at that depth! 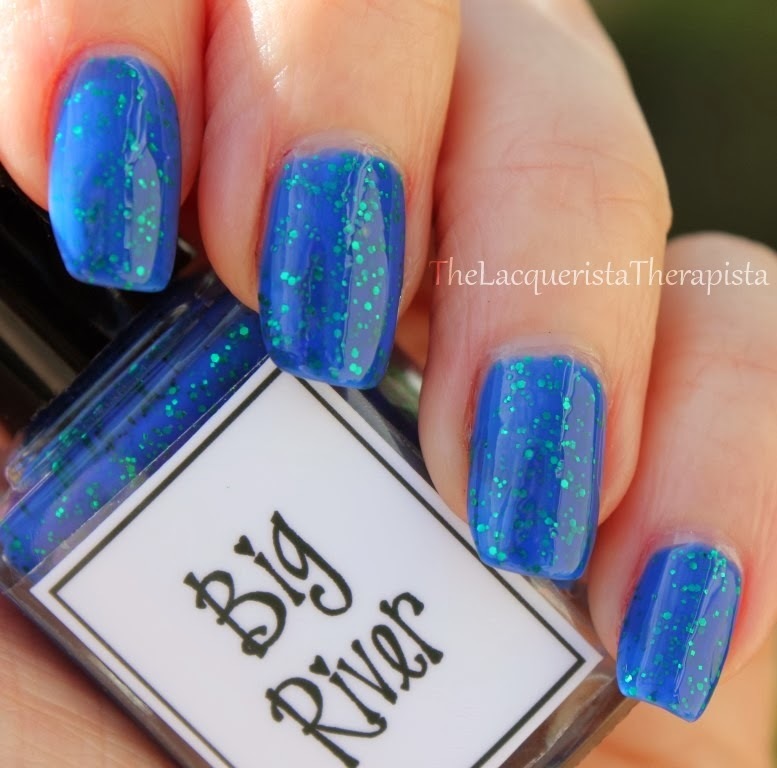 Big River goes on so smoothly and I didn't have any issues with getting enough glitter on the nail. It was opaque in 2 coats. I used 2 coats of Seche Vite to make it glassy, but one would've been enough. I love jelly polishes with glitter, like this one, because they have so much depth and are just mesmerizing. I also have a thing for blue and green polishes so basically I had to have this one (thanks to one of the fine ladies over at redditpolish). Big River and all of Pam's beautiful creations are available through her Facebook page.